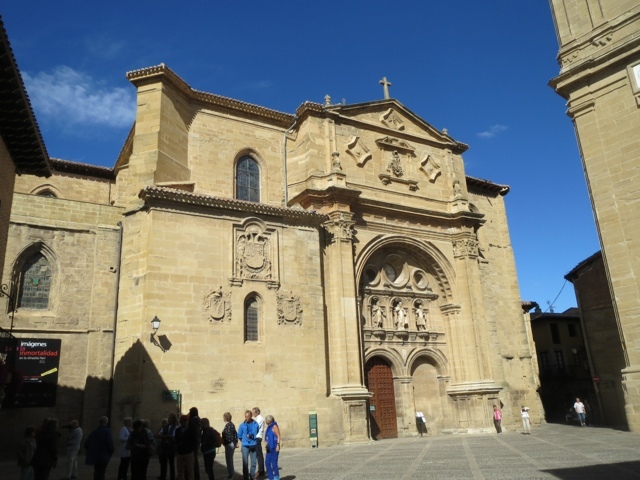 The legend tells that among the many pilgrims to Santiago de Compostela who stopped in this city to venerate the relics of Santo Domingo de la Calzada, get a marriage with her eighteen years son, called Hugoneil, from the Xanten, Germany. The girl in the Inn, where they stayed fell in love with the young but their feelings were not rebound. Bent on revenge .she put a silver cup in his luggage and, when they took up his journey once more, the girl reported stolen to Corregdor. Under the lakes of that time the punishment for crime of theft was death penalty and, once captured and judged the pilgrim was hanged. When his parents departed the Santiago de Compostela, they went to see their son handed and, when they arrived to the place were shocked to hear the voice of their son announcing that Santo Domingo de la Calzada had preserved his life. WHERE THE HEN CROWS AFTER BEING ROASTED"